Exploring the limits of your creativity... and guacamole. Kaos is back (again), wreaking havoc in the Skylands (again)! It's up to you and your gigantic Rubbermaid bin of figures from the last five years of Skylanders games to stop him! Oh, who am I kidding. You're going to shell out a couple hundred bucks on the new hotness that is Skylanders Imaginators. Perhaps you'll also invest in a nice curio to display them in? Skylanders Imaginators injects a needed change into the formula. Sure, you still buy figurines to use in your game, but as the sixth entry, they can only create so many before they get stale. 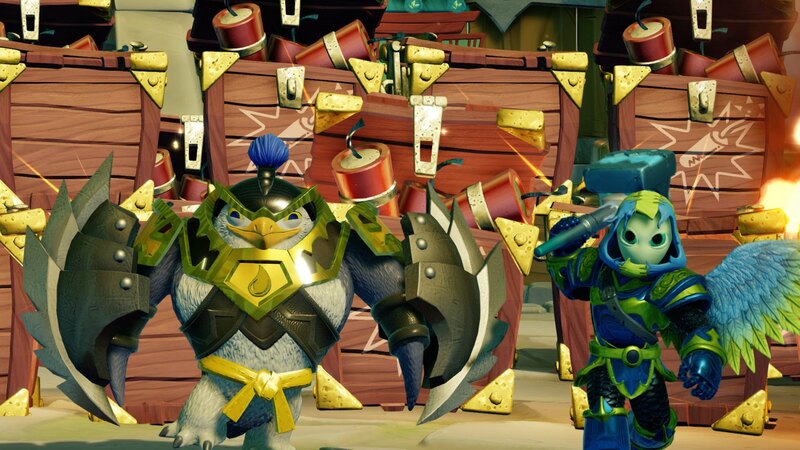 The ability to create your own Skylander is one of the most addictive and entertaining aspects of Imaginators, and though it treads familiar ground, the game is much better for it. Adding a Creation Crystal to the Portal brings up a customization screen that allows you to alter every aspect of the Imaginator. From the abilities and gear they use, all the way to the musical cues and catchphrases they spout, almost every aspect of your Imaginator is able to be tweaked to your liking. The campaign and almost every other activity you take on in the game rewards treasure chests, which contain weapons, armor, sound effects, voice packs, and even glow effects for your Imaginator. Play long enough and you could spend hours trying to perfect your figure. As for me I quite enjoy my Dark Sorcerer who looks like a spooky skeleton with moose antlers and a snowman backpack. Parents, beware that physical treasure box figurines are available as a sort of blind box item. Each contains nine random creation items, and I must absolutely stress that they are randomized. Once you place the box on your Portal, the box's contents are emptied. You can also buy treasure boxes digitally, but again, I don't think it's a good idea. Considering how many items you'll get over the natural course of play, these seem like a cash grab. I'm a big fan of the Imaginators, but they come with two fairly large caveats. First, each Creation Crystal has an element type. If you want to create a fire-based Skylander, you must buy a Fire Creation Crystal. Second, the class you select is permanent. Hope you really wanted to play as a Sentinel! The necessity to buy specific Crystals to assign an element, or a new Crystal if you goofed on the class you pick seems like a bit of a cash grab. 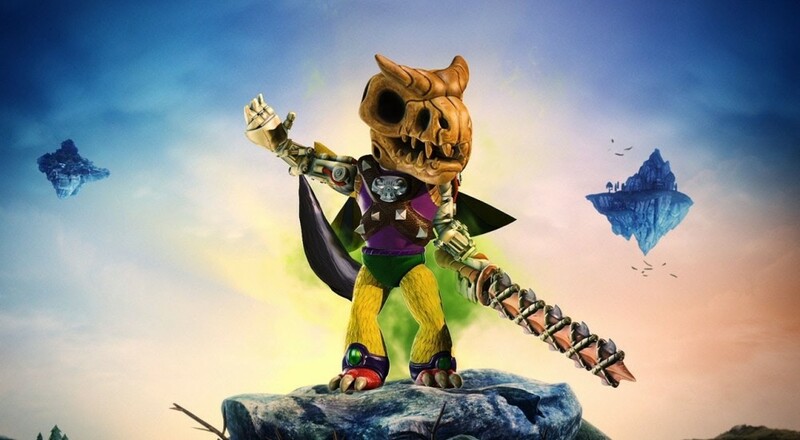 To satisfy the more traditional Skylander enthusiast, there are also Sensei figures - twenty new characters (including some cameos from Crash Bandicoot), ten ex-villains, and... Kaos. While I balk at the thought of wanting to subject my entire play time to his horribly irritating voice, playing as the villain is pretty cool. Each Sensei figure you add to your in-game collection will increase the level cap for your Imaginator creations by one, including being able to go over the hard limit of twenty. Page created in 1.4047 seconds.